Accelerated Auction Solutions llc | Business & Estate Auction Specialist Atlanta GA. 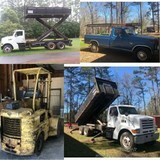 Accelerated Auction Solutions is an Atlanta based Online and Live Auction company leading Georgia in Business Liquidations, Estate Auctions, Real Estate, Bank Assets, Personal Property, Industrial Equipment, Antiques, Construction Equipment, Restaurants and More! Accelerated Auction Solutions is a full service, licensed & bonded auction company. THIS AUCTION IS SOLD & CLOSED! Everything has been moved to our location. Equipment and furniture was purchased new and was only in use 1 year and is being sold on behalf of the Lender. High end brands Kichler, Progress & Thomasville and more in original boxes. Inventory includes NIB overstock, shelf pulls, discontinued items and a few builder returns still in original boxes. Being sold on behalf of the Ms. Frances Howard Estate includes a Beautiful Collection of Native American Pottery and Jewelry, Frabel Glass Sculptures, Fine Furniture and Rugs, Antiques, Silver, Clocks, Crystal and Art. 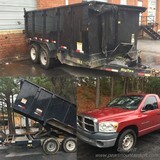 The items in this auction were repossessed and are being sold on behalf of the lender. 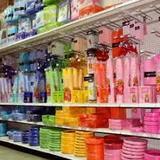 Spa and massage salon equipment and inventory liquidation. Equipment was only in use for approx. 18 months. 2004 Ford Expedition, Computer & Equipment, Electronics, Copier, Printers, Warehouse Equipment, Furniture, Seminar Tables & Chairs, Racks and Shelving. Part #3 The Burge and O.V Scott Estate. Vintage Handbags, Couture and Fashion Items, Coins and Currency, Art, Antiques and Collectibles. Over many generations the Burge and O.V Scott family have amassed an amazing collection of Antiques, Estate Jewelry, Asian Antiques, Art, Furs, Silver, Coin and Currency, Crystal & China. Accelerated Auction Solutions is working in cooperation with Amy Martin Auctions to bring you this fine estate. This beautiful ring is sold on behalf of the Burge estate.